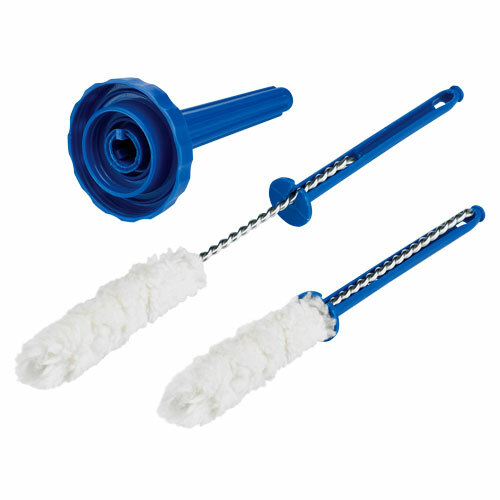 A sturdy easy-to-grip 4″ swab for pipe diameter from 4″ through 8″. Adjustable length and dual cap design that fits quart and gallon containers. The swab tip is disposable and swab holder is reusable. Patent No. 8747004.